The TouchScreen Desktop App application automatically connects to the Daikin Thermostats web site and updates the TouchScreen Desktop App and thermostat firmware to the latest revisions at no charge. TouchScreen Desktop App then updates the firmware to the SD memory card to be uploaded to the thermostat. 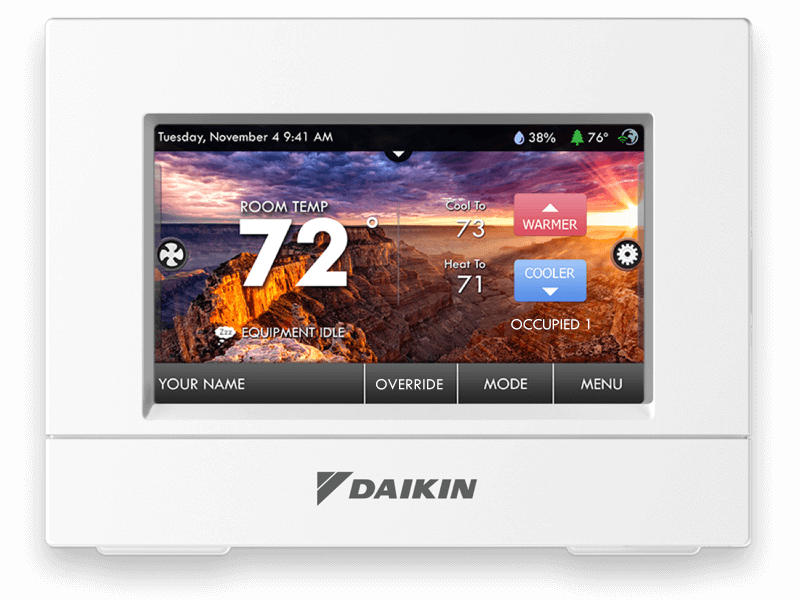 Updating the firmware ensures that the most current system software, including new features and performance enhancements, are available.